Here’s another exhibition that’s taking place during the event Collectionner. 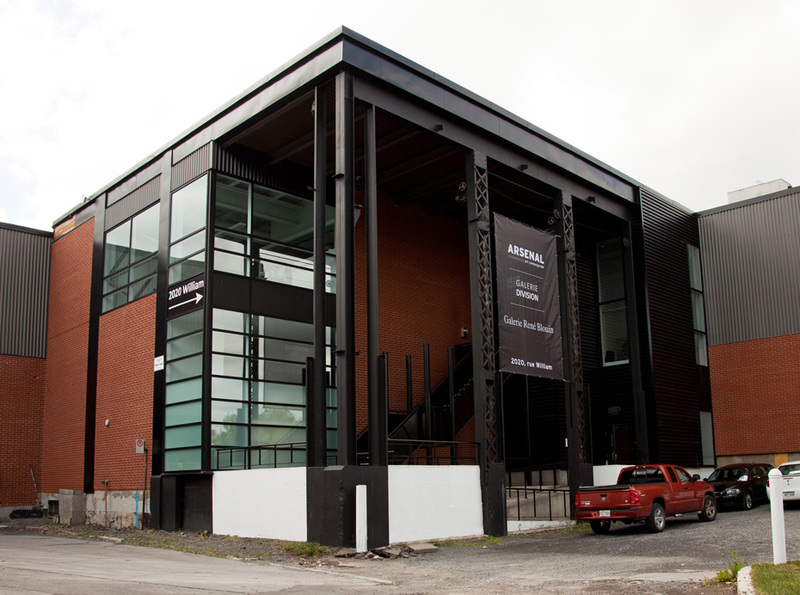 This time, it’s at the Arsenal, an exhibition space in Griffintown, dedicated to contemporary art. 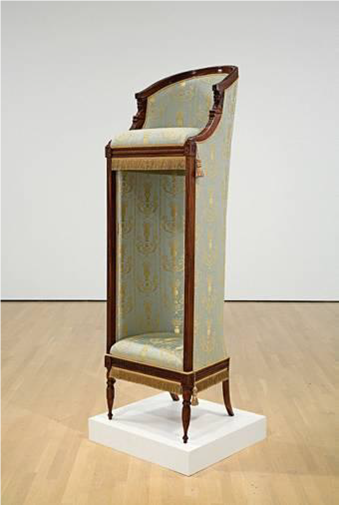 Many works from various Quebec collections will be on display from March 17th to May 25th, 2012, including the collections of François Odermatt and Pierre and Anne-Marie Trahan (Majudia Collection). For details, please visit Accès Culture and the Arsenal. Are you an art collector? Than this event might interest you. 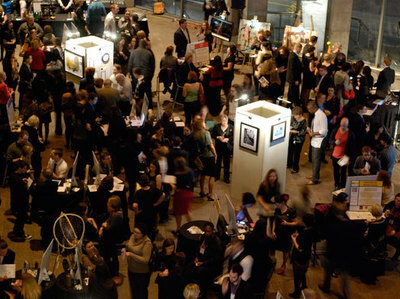 For 13 weeks (March 13th – June 17th, 2012), Montreal will be hosting the event Collectionner, where nine passionate art collectors will be exhibiting their personal art collections to all art lovers. The first exhibition is from March 13th to April 22nd, at Maison de la culture Frontenac. Alain Tremblay’s art collection will be on display and entrance is free. For details on this event, please visit Accès Culture (in French only). No, not the World Cup of soccer, but the International Festival of Films on Art that takes place every year in Montreal. This year, from March 15th to the 25th, FIFA will be celebrating its 30th anniversary by showing 232 films in various categories: painting, sculpture, architecture, design, fashion, literature, dance, music, photography…The festival’s mission is to promote art and the artists who create it through film. For the complete program and information on the festival, please visit FIFA. Now this is an amazing idea! Montreal will be hosting its first ever Timeraiser event on Thursday April 12, 2012 at Marché Bonsecours. What is this Timeraiser event you ask? It’s a “silent auction” where people bid on artwork not with money but with volunteer hours to local agencies. About 20 works of art by Montreal artists are up for auction, all paid in advance by various sponsors. The goal is to reach the 20-40 demographic who are not used to volunteering, but who are interested in purchasing art. The person with the winning bid then has 12 months to complete his pledge in exchange for the artwork. The Volunteer Bureau of Montreal will be hosting a preview tomorrow evening at the Arts Café. For more information, please visit Timeraiser. Don’t have plans for the weekend? 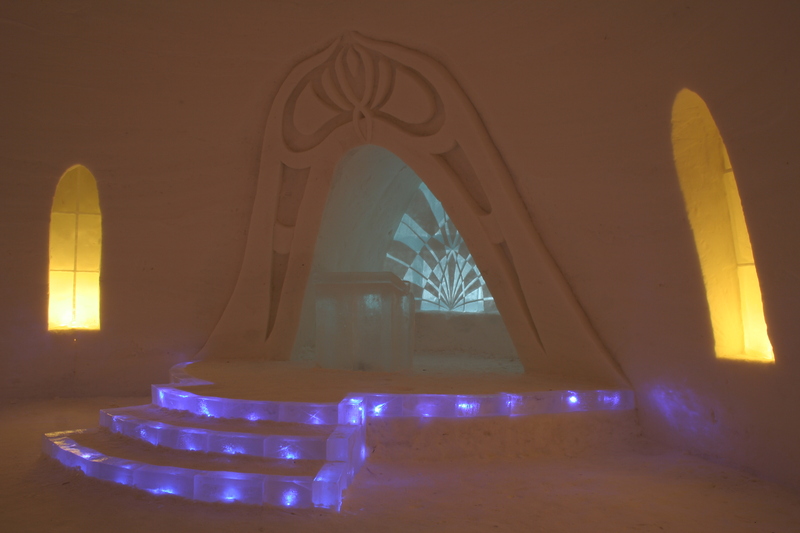 Why not visit the Snow Village at Parc Jean-Drapeau? 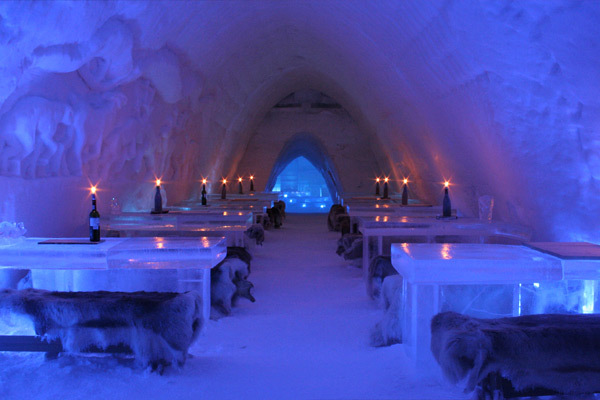 Want a unique winter experience? 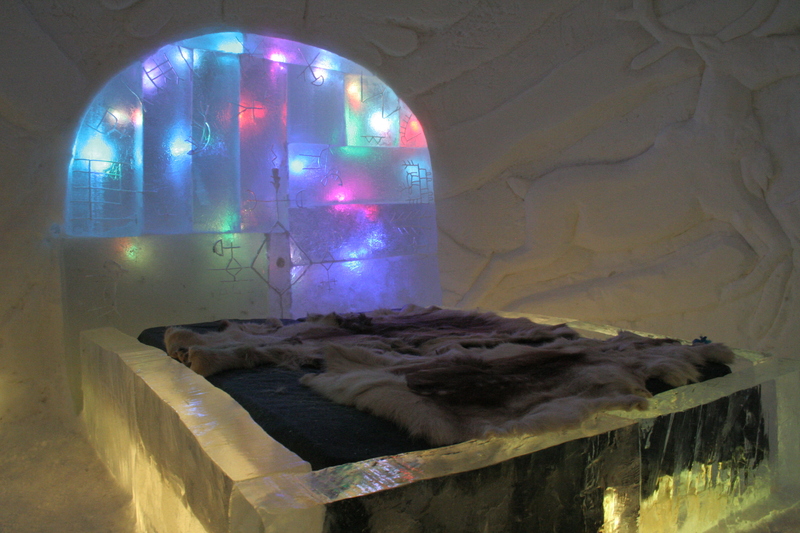 You can book a room at the village’s ice hotel or even spend the night in an igloo. 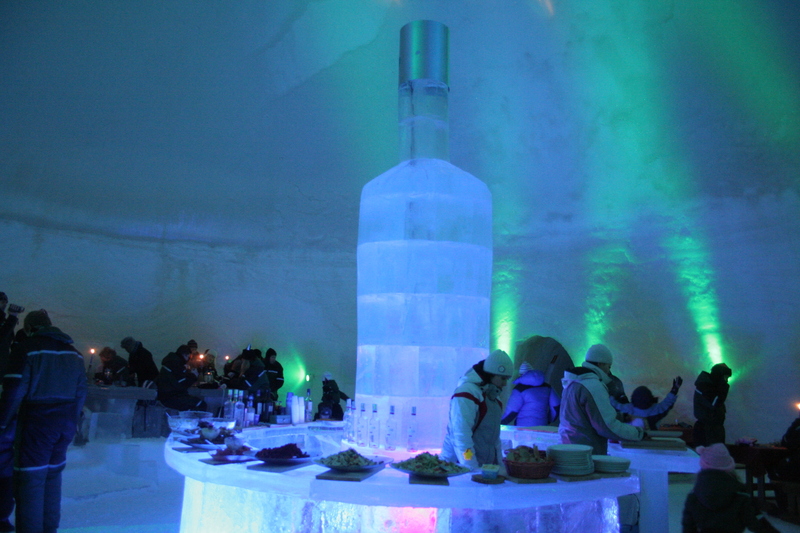 If sleeping in frigid conditions is not your cup of tea, then stop by the Amarula Ice Bar during Happy Hour for a cocktail and enjoy the music by Guest DJs. 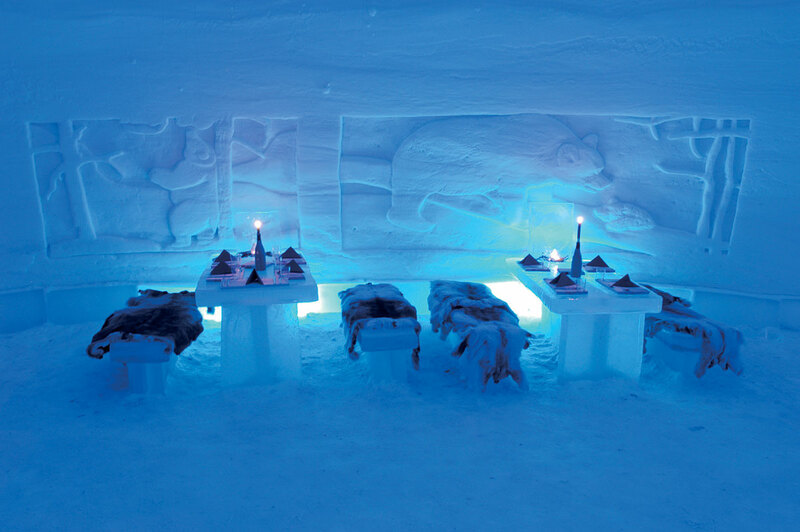 Or you can make a reservation at the Pommery Ice Restaurant or enjoy the heated spas. 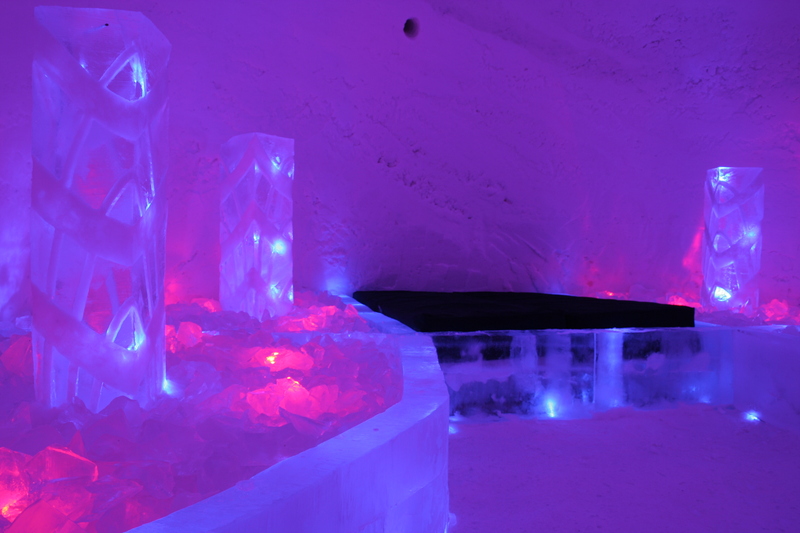 There is even an Ice Chapel for all those who dream of a White Wedding! 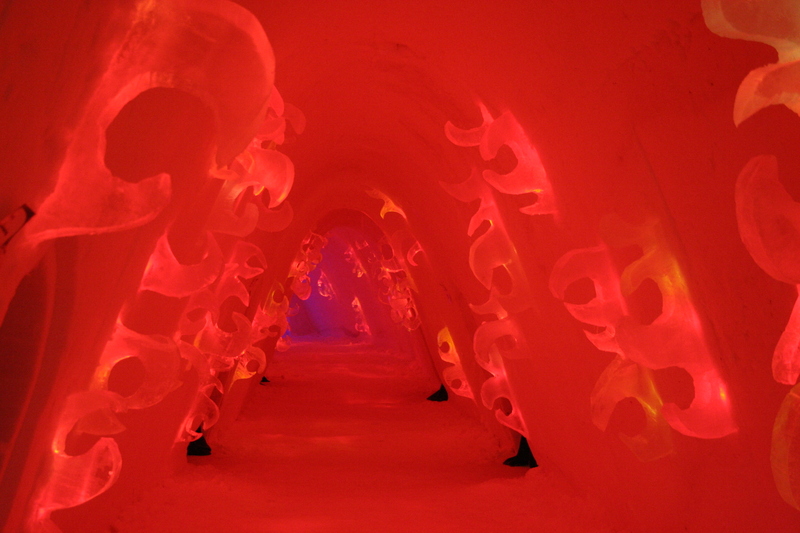 There are also tons of activities for the whole family like the snow sculpture exhibit, the snow labyrinth and the snow slide. 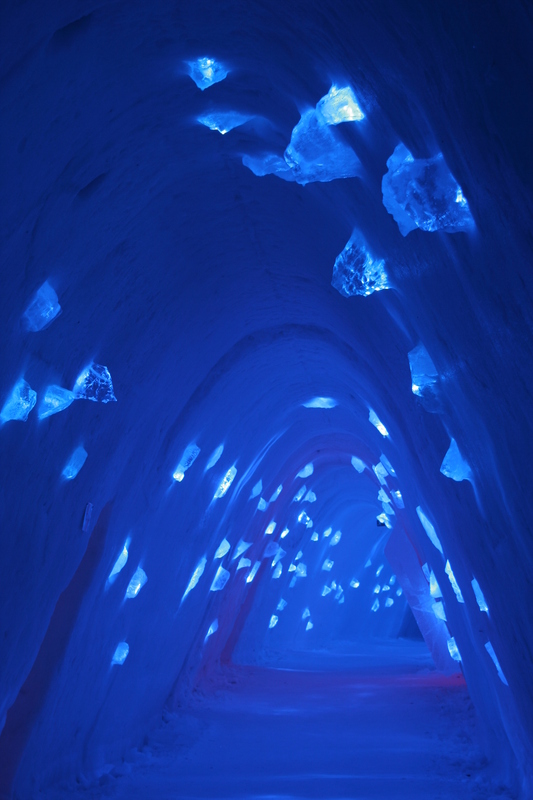 The Snow Village will be open to the public until March 31st. 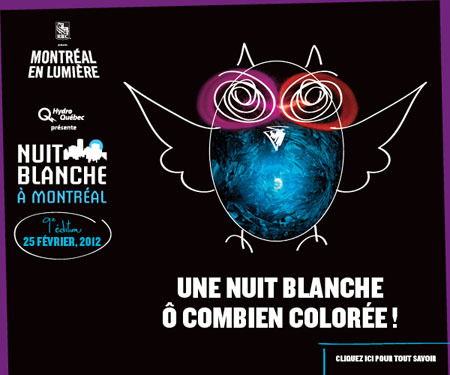 Today begins the 13th edition of Montréal en lumière, one of the largest winter festivals in the world. From the 16th to the 26th of February, Montreal will host a variety of activities at the Quartier des spectacles, offering a gastronomy and wine program that pairs the finest Montreal chefs with the greatest international culinary masters, and putting a spotlight on the arts (music, circus arts, song, theater, dance). The festival will close with the annual Nuit Blanche, inviting everyone to enjoy some 180 mostly free activities that include song and dance performances, exhibitions and installations. So don’t forget to catch a free outdoor show on Sainte-Catherine street, enjoy a food and wine tasting or try the free Milk Urban Slide, a 110-metre-long incline equipped with sound effects, multicoloured lighting and smoke effects! 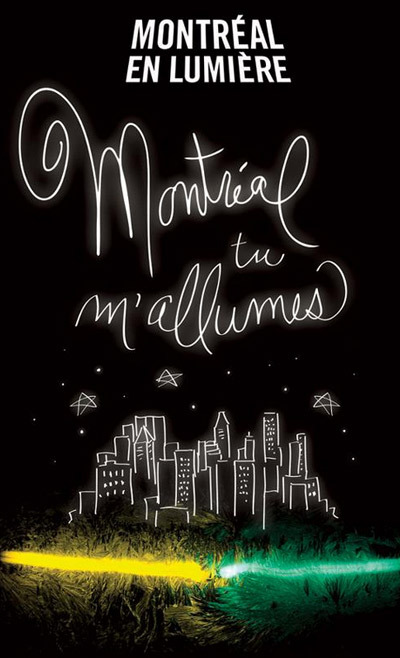 For the complete schedule, you can visit MONTRÉAL EN LUMIÈRE. 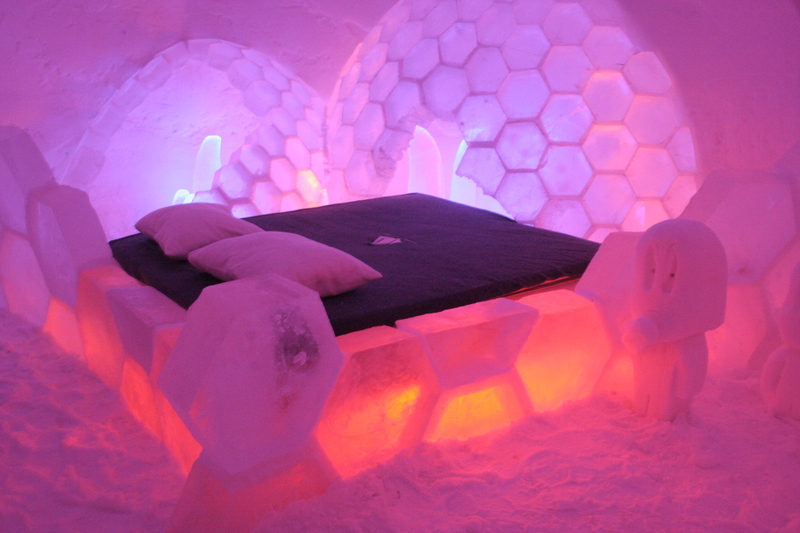 This year, Montrealers will be celebrating Igloofest’s 6th anniversary. What is Igloofest you ask? Well, it’s an outdoor electronic music festival that takes place every year in January at the Jacques Cartier Quay in the Old Port of Montreal. At least 60 artists will be performing from January 12 to 28, from Thursday to Saturday. 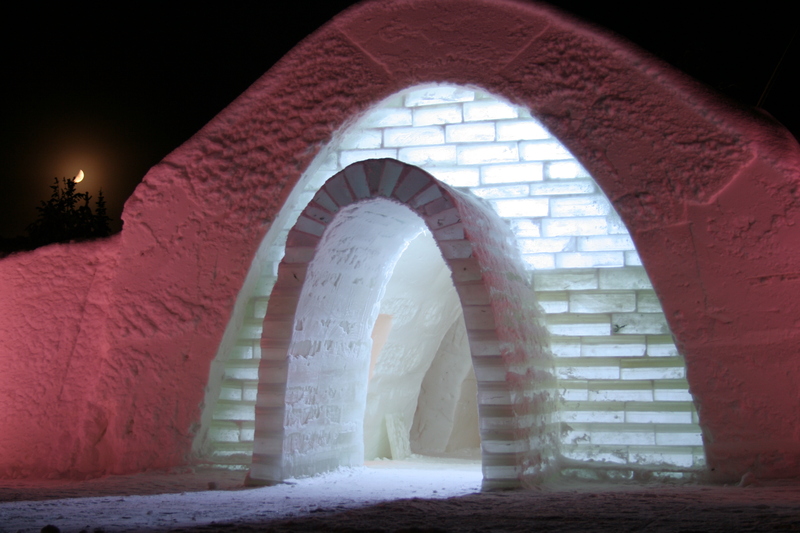 Like every year, there will be an igloo village, ice sculptures, an ice bar, interactive installations and the infamous one-piece snowsuit competition. So if you’re brave enough to face the freezing cold weather, put on your one-piece snowsuit and get the party started! 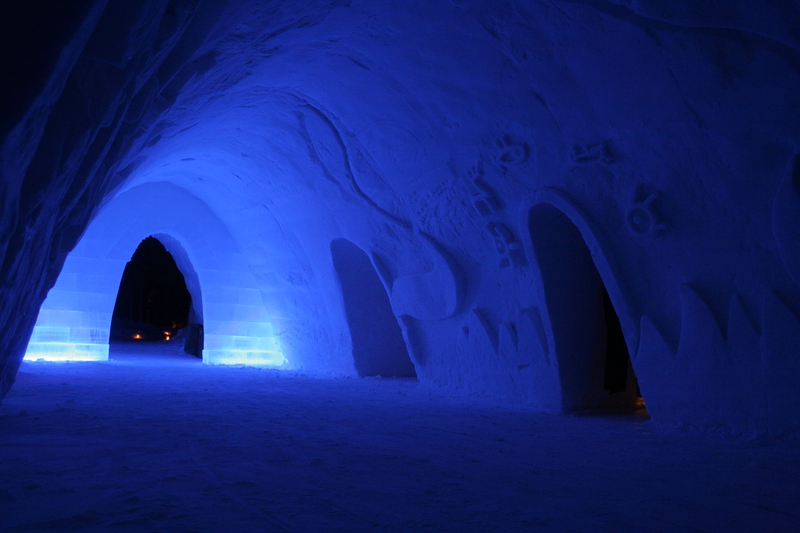 For more details, please visit Igloofest.